Daltile is one of many incredibly supportive members of the tile industry who support the CTI testing program. 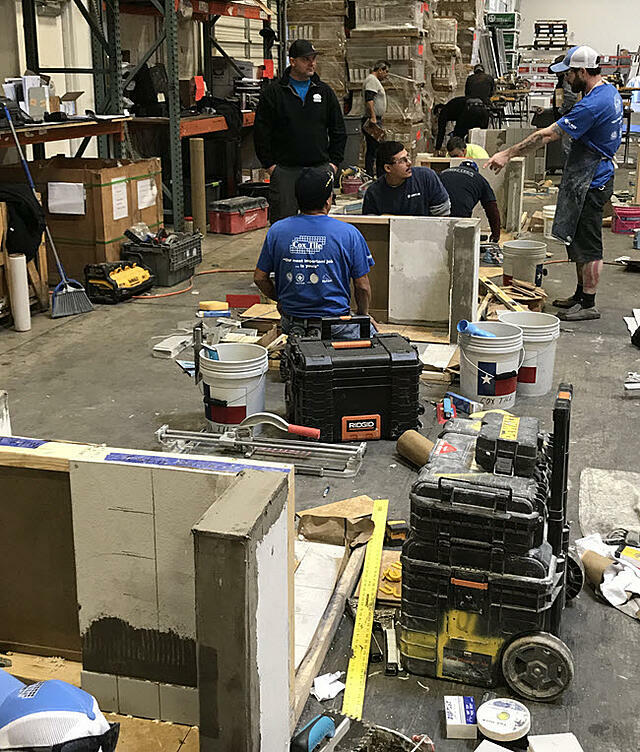 Daltile not only supports tile installation training and education, but by also hosting the hands-on testing, they help expand the reach of the CTI program. If it weren't for the support of the tile industry, the Certified Tile Installer (CTI) Program would not be as successful as it is. For this, CTEF is very grateful. 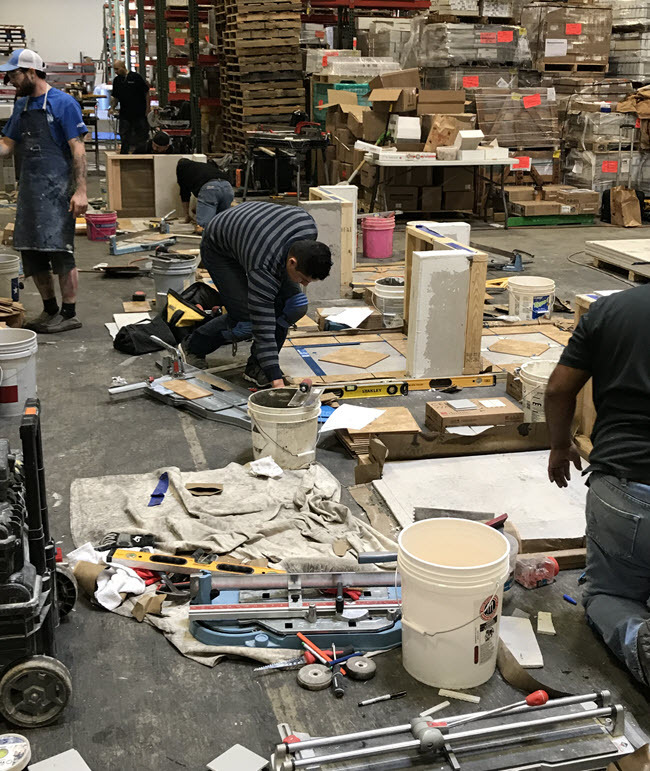 In the case of Daltile, they regularly make available their many locations for hands-on CTI testing, and, as with all the generous hosts locations, site managers actively participate in making these events a success. In the 1:38 minute video below, you hear Daltile manager Darren Langston explain to CTEF Regional Evaluator Coordinator Kevin Insalato why he values the CTI program. Darren has spent the past 27 years with Daltile. He is the manager of the San Antonio location and he values tile installation certification for the end user. A certified tile installer is assurance that the end user will have an installation that looks good, is flat and is installed correctly. That in turn means that end users will want to include tile again the next time they have a project in their home because they are so happy with the final installation. By the way, this is the third CTI hands-on test that Daltile in San Antonio has hosted. Of particular interest for this hands-on CTI evaluation test is that many of the installers were required to undergo certification because their employers required it. "We are proud to have every J&R project led by a true professional, a CTI. Our culture is to promote from within with our own apprenticeship program modeled around accepted tile industry standards and CTEF testing criteria." Increasingly, too, companies must have CTIs on staff to bid on certain types of projects where Qualified Labor is required. What's Involved for the Hands-on CTI Test? The Certified Tile Installer (CTI) program comprehensively tests the skills and knowledge of experienced tile installers via an online open-book multiple-choice exam and a hands-on test. Both are based on current industry standards and best practices for producing a sound installation that exhibits good workmanship. The pictures above were taken at Daltile in San Antonio, Texas, the day of a hands-on test evaluation. In addition to the 17 installers taking the test, three CTEF Regional Evaluators (REs) - Frank Galvan, Triniti Vigil, and Kevin Insalato - monitored the event. 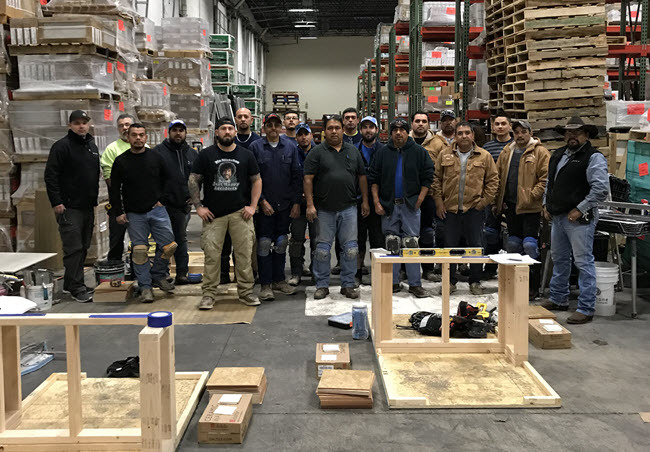 Special thanks to Darren Langston and Daltile for their ongoing support of the CTI testing program by hosting this CTI hands-on test in San Antonio. For the installers who take the CTI test and the businesses supporting them, the payoff is gained by becoming a crucial part of the Qualified Labor pool that provides the consumer, whether residential or commercial, with a choice of the best quality possible.